When I was three my father died in a car accident, I was in the passenger seat, and my mother in the back also survived. I remember the nurse Tricia Mcginnity who help me to recover, the walls were like a Rousseau painting of the jungle, in this hospital, my favorite part of every day was when Tricia would come and watch a movie with me, with my leg in the stirrup recovering from the crash, I watched Jim Henson’s Labyrinth and Dark Crystal, so many times over I still know them by heart. I think I recovered a sense of identity through watching these heroes play out their adventures and conquer their own demons in the end with their determination and strength, the father figures I began to associate with as I started growing up were DeNiro and Day-Lewis. There was some beautiful magic about how they were capable of completely transforming themselves into something more, something greater than what came before, or even just more human in their fleshy re-embodiment of a person with all their strange failings and conquests. There’s charisma to that, growth, renewal and progress to the human being as they are. When you start a piece clutching at the rivers of hope go fishing through not shallow waters but ones that are, and there’s a harmony to the life underneath the moment, there’s some prodigy to that mystic salt calling in the ether of art which draws you to it, there in the dancing electric particles of the human experience, some unknown lullaby, a calling. Follow the heart, follow the calling. There was a time when I was a boy where I thought I wanted to be a singer/dancer, but acting always seemed to me so intimidating, so much more, I suppose it was because it was about decoding human behavior, and the complexities of thought and feeling guided initially only by the text, but which then with time flows out into all the rich complexities of our expression in human nature. I was pushed away from music by lost loves and back into the theatre. The theatre reignited all that I had come to know through film and music to what I felt was the fullest expression of the performer as it incorporated all those things. I first started working on scenes and small productions at the Australian Theatre For Young People, when I was 10, but my first lead in a Shakespeare play when I was 14, it was Caliban in The Tempest. The character’s connection to nature and his beast-like way meant he was a misunderstood creature, but his intuition to all the movements of the world around him, there was a deep beauty to it. There in the forest of burned up omens, his prophecy to overcome the overbearing Prospero with all his books and dark magic, came in the form of two drunk chefs shipwrecked and power hungry, there was an Oedipus to Caliban, a universal desire to step out from the shadow of his predecessors into something new. Around this time, I came across Daniel Day-Lewis, and his performance in Gangs Of New York blew me away. It opened my mind completely to what was possible with acting and performance. At that point, I knew it was some Omen that I should follow his footsteps for a while at least. After a few more productions in Australia including a musical version of Brecht’s “Threepenny Opera”, I felt it was time to go back to England and audition for Drama Schools, the competition out there to get into the top schools is ridiculous, usually around 6,000 applicants to 40 places, at Bristol Old Vic Theatre School the chances are even less with 12 places. I saw that to get to a point where a person’s facility for acting, the craft, not acting just as a business, the fame game, but acting as an artistic expression, that could grow into something much larger; I would have to go through classical theatre to get to film. A roundabout way of getting there, but I felt it would be worth it. As an Antipodean at the time, I was put on the overseas course. The course focused solely on the classics. While I was there, I performed Midsummer Night’s Dream, as Oberon, King of the fairies who lulls bottom and Titania Queen of the fairies into a dance of love, Winter’s Tale, Hayfever and Overruled. After graduating I did some indie films around London, smaller productions and one play which started at the back of a pub in South London at a fringe venue called The White Bear, they cast me as the Asylum keeper, an out there, extreme, wild character who governed her all the loonies within the Asylum falling in love. 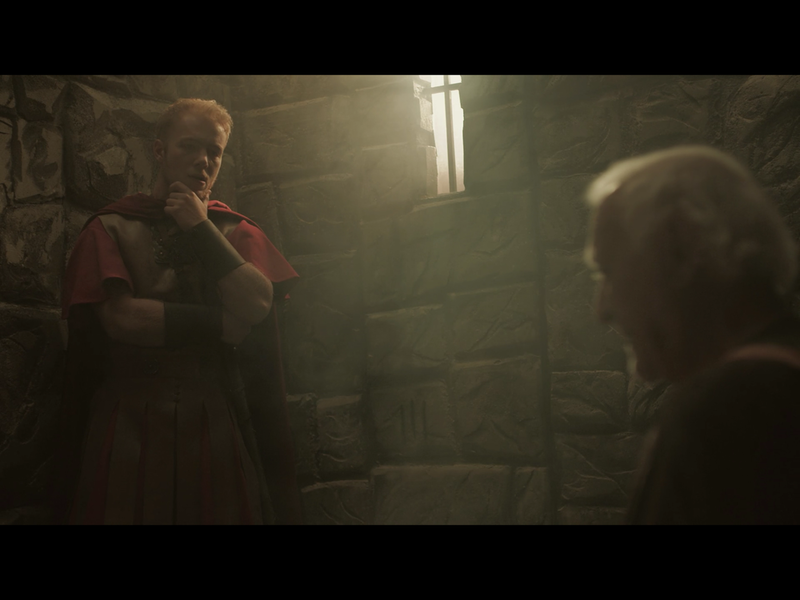 Soon after that piece I was cast in my first lead role in a feature film, Apostle Peter and The Last Supper opposite Oscar-Nominated actor Robert Loggia, the film was a Christian movie, my character Snt. Martinian gets converted to Christianity by the older Snt. Peter, it was an honor to have worked with Robert Loggia in his last movie. 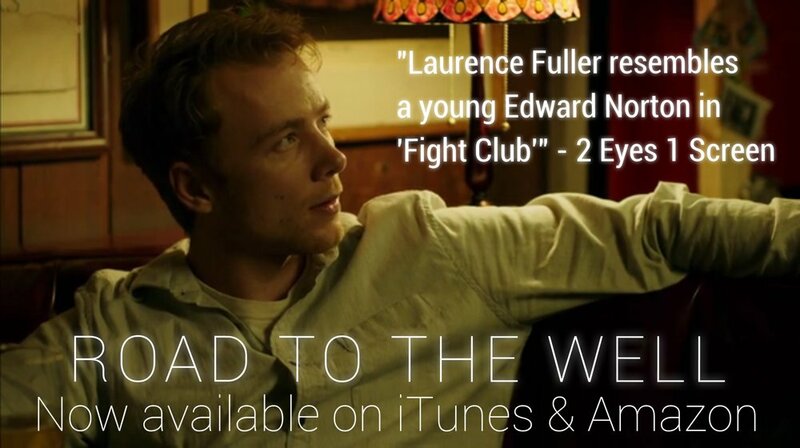 After the film came out I began to work on the gritty American indie films I grew up watching with Dustin Cook on Mother & Brother and Jon Cack on his first feature film Road To The Well which is a dark very existential thriller about a man losing his faith and scouring the depths of his humanity as he finds a dead prostitute in the trunk of his car. Jon and I would meet up at his apartment and for coffee around LA and just talk about the script and the characters for about a month leading up to the shoot. We also discussed a lot of Existential philosophy, and Jon gave me some books to read including Camus’ The Stranger. I took it my job to try and inhabit an existential experience. This was not a subject I’d looked into before, so it was a very unique challenge. Frank wrestles with the ambiguity of what to others may be a pretty definitive set of moral circumstances. Where “Right” and “Wrong” would seem to be clear. Our relationship was rooted in the discovery and search for what an existential experience might feel like, look like, be like. It was abstract, symbolic, philosophical. We wrote each other emails about philosophy and art, shared our ideas which were never entirely defined because of the nature of the subject. Jon did not want to give too many definite interpretations about the meaning of a scene or the functioning of a character. So somewhere in ambiguity, we found common ground. 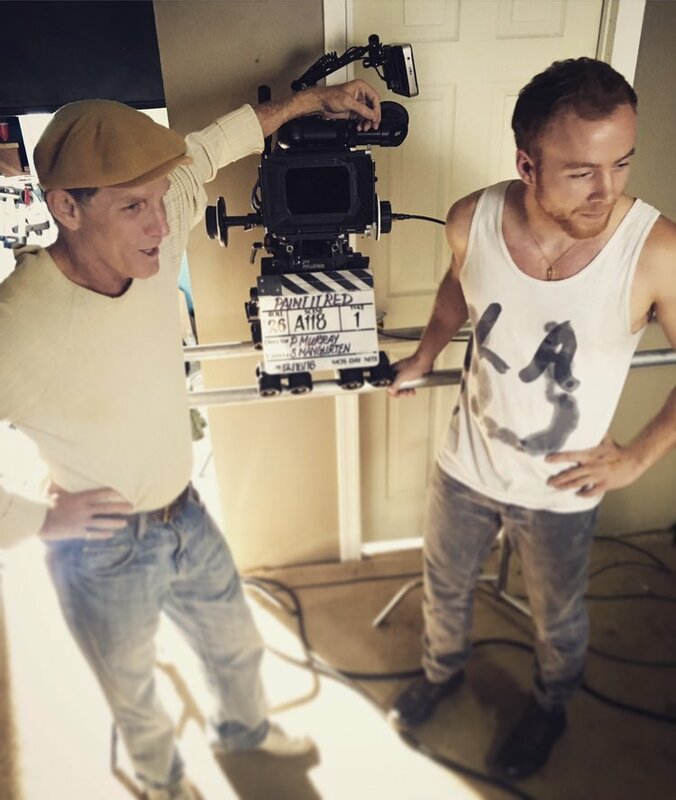 On set I met the director of my next feature Paul T Murray on Paint It Red he had a boyish excitement about the whole thing, he was chain smoking and telling me stories about the favorite gangster films that he had made. After the premiere screening of Road To The Well at Dances With Films, Paul told me about a script he was about to send me. Sure enough, he followed through with an offer, I played an Irish painter struggling to get by in this apartment block in NoHo when my character stumbles on a duffle bag of money. The bank robbers who obtained it try to track me down to get the money back, killing off my neighbors in the process. It’s a fun thriller that had a good VOD release with on Amazon Prime and all the rest. The search for beauty is so often underpinned by rugged brutality, stringent, uncompromising quest to prevail, exclusivity, a climb, a struggle, a ruthless clawing at the flimsy veins of existence, which pretend and shelter. One begins to claw, because of a feeling of not knowing, or of knowledge that there must be more. 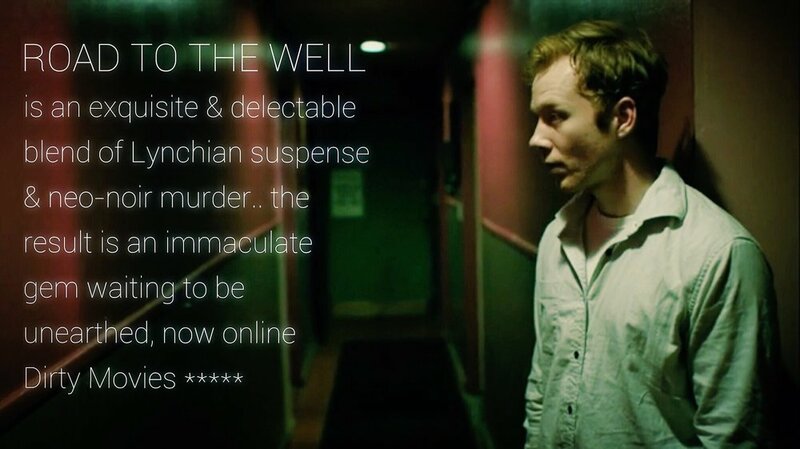 After that Road To The Well took me on the festival circuit for the better part of a year, this was when I came across Hunter Lee Hughes and his film Guys Reading Poems a clean slick wholly original new piece of cinema, with integrity, complexity and lots of vision. Meeting him afterwards Hunter’s quiet unassuming and sophisticated demeanor, had a kind of sitting back at first and watching things unfold, planning the course of action. A quiet observer, calmly waiting for that wildness that might come into his life and take hold of his heart with inspiration. A steadily flowing river spoke behind his piercing eyes. Hunter cast me in his play Nathaniel Quinn Filmmaker as Jason an actor who falls in love with his director played by Hunter, the story was about true love transcending circumstance. There have been very few true muses I’ve found really cracked me open in my life some have passed, the ghost of my father inspired me for years to finish a screenplay about his life, some directors like Simon Evans, Paul T. Murray, Jon Cvack and Hunter, and various family members tend to hit me in a raw place emotionally. I felt cracked open by the muse I used this time around and needed to regain that love from Nathaniel on stage. To be an actor we give over feelings reserved for those closest to us to the crowds of unknown faces in the dark, they breathe our love, desires and fears, they soak us in and what we’re left with in private is a beginning, each day we begin again, begin to understand something of ourselves again, begin to understand that great triumph of love that escalades within, there it can only be, all else falls on destiny. While I was doing the rounds of festival screenings I came across indie film duo producer David J Philips and director Adam Cushman, they cast me as a supporting role as John Williams in their feature about early Hollywood composers The Maestro. After a great working relationship, we did another film called Five Families this time in a lead role as Seymour, the troubled grandson of a fading mafia boss. Adam Cushman helped me find my darkness with this piece, it was rooted in a longing for the past in adolescence and lost love, a time when people followed their desire without consideration for every consequence, but to challenge status quo with action. The last of a dying breed of gangster, nostalgic and Romantic for another time when passions followed glory and the challenges of the will, were met with the force of present days. Today I am a better man, today I feel that carnal longing, tomorrow is destroyed by the turning of coming authority. They pressure me to give up my sword, but I shall die by valiance and go down in history as the first forever gangster glory. It was a very sad occasion for me recently when my dear friend Paul T Murray passed away, he was the director of Paint It Red and he died of a heart attack just a couple months before the movie came out. On the walls hang posters of his films, I know the faces that peer out, but not the titles, all but for one What Doesn’t Kill You with Mark Ruffalo and Ethan Hawke. The gritty Boston street drama based on a true story of one of the harshest places in America, with its brutal tribal men, who culturally remain as they were when they stepped off the boats onto the American shores, tough, Irish, families, fleeing the famine in home country and seeking opportunity away from poverty in the new world. Their warmth radiates to those close to them, and loyal to those they can touch, though this loyalty always comes in the form of danger. I feel at home in Paul’s violence, not as something I relate to, but I feel there’s an honesty to it and a commitment to communicating both his darkest parts and his most optimistic. As we sat looking at each other, I felt hugged and punched at the same time. I trust that feeling, those I don’t trust are the ones who are too quick to look away. At one point, he threatened to stab me because I had suggested some rewrites to his script. He called me the night he found out this had happened, “You don’t rewrite Paul T Murray came booming down the phone.” I told him to calm down, I could smell the beer on his breath from down the other end of the line, “I will stab you and leave lying in the back of an alley,” “see you tomorrow” I said as I hung up the phone. The next day I showed up unannounced at his doorstep, he saw me walking up from his window and heard yelling from inside the house, “oh no you didn’t do that!”. But once I got inside, we stay down both with boyish grins on our faces and over a manly beer declared our respect and love for each other, as I still tried to convince him of some rewrites and he with an impossibly immovable conviction denied even the smallest alteration to his writing. Among the suggested rewrites I’d put in a story about the artists’ journey, just to piss him off I want to publish it here. Mostly because I’d written it for him and everything he’d been through. The peasant says “that’s nonsense, everyone’s got tricks.” The next morning he looks in the stone mason’s window to see what he’s really doing in there. All he sees is the mason chiseling carefully and deliberately. As he’s peering in, a giant plum falls off a wagon on the road nearby driven by huge dark horses owned by mercenaries. The plum is huge, he’s never seen anything like it, it’s three times his size. If he can cultivate this plum, grow it and sell it, it will make him rich, and he can buy his way to court. He begins to push it home. Suddenly, slightly, after weeks of pushing, the plum starts to move, the peasant pushes steadily all evening until the plum bumps into a naked girl lying in the field. She says “you look tired, lie down here on my breast, in the morning you will get there faster.” He slides across her skin grasps her naked body and falls asleep. In the middle of the night, he wakes up hearing a splashing sound, she is eating into the plum, she has eaten so much the plum is down to two thirds its size, and she is about to explode. He is so tired at that point, he could let her take the rest, but something deeper compels him to take it back from her. Fate had left this plum in his hands for a reason, he just didn’t know what yet. The girl is now so fat, she cannot stop him, she falls backwards and cannot get up. He pushes further until he comes across several cranes foraging in the grass. A man with a net comes forward “Are you looking to hoist that plum?” asks the man “Yes,” says the peasant. There were blood and guts in Paul’s work, it was almost like he was challenging the audience, questioning “What you thought creation was possible without spilling your veins, cutting your bones against the keys, the camera, the vile in your stomach, you think all these broken decaying parts of you get preserved, and we all come out of this alive? This is it, this is all there is, I am an artist, and that’s all I am”. 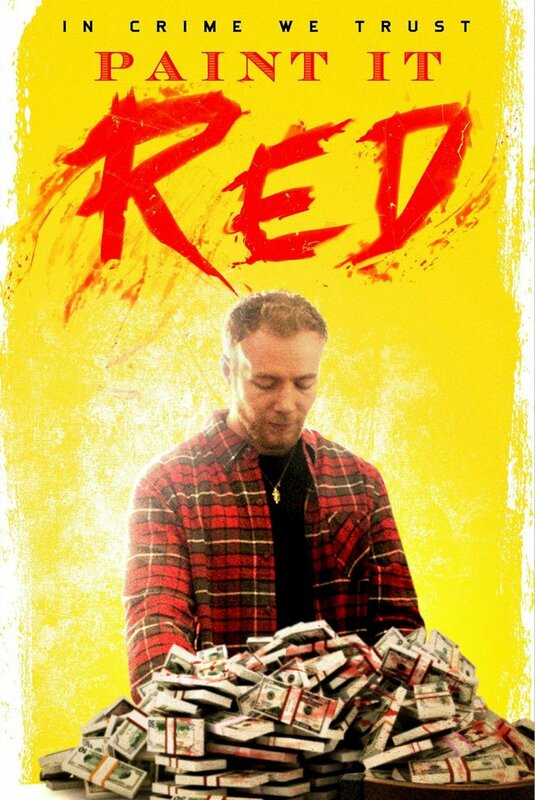 Paint It Red was released in September through distributor Gravitas Ventures, now available on Amazon Prime and all other major streaming platforms. 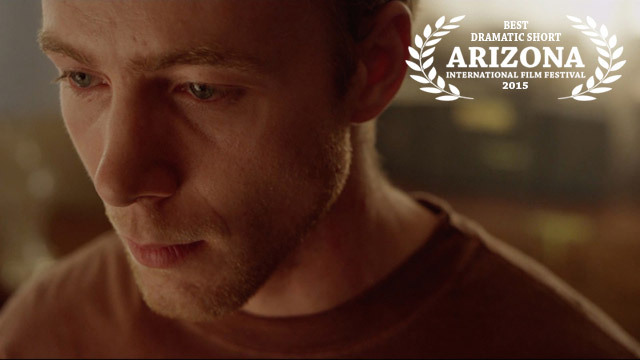 “The spirit of fairy tale runs through this elegantly made and elegiac short film by Henry Quilici. It offers a study – etude would perhaps be a more appropriate term – of Andrew (Laurence Fuller), who is an accomplished pianist, even if, as we quickly discover, he’s working as a janitor in a concert hall – this first ‘reveal’ cleverly realized. In the last four years I was able to take what I’d learned from the classical theatre at Bristol Old Vic and The West End, merged it with American method acting which I studied at Ivanna Chubbucks, Eric Morris, Beverly Hills Playhouse, and then process it through a new kind of art and poetic expression. Also my love of Martial Arts, primarily Mauy Thai has been developing into a symbiosis with the rest of my life over the years in very rewarding ways. I’ve been working on a screenplay about my late father the art critic Peter Fuller for the last four years, the journey has taken me through his past life as written in his journals, letters, articles, and books which he documented in great details from his deep personal relationships with artist and intellectuals to the radical shifts in his tastes and thinking. 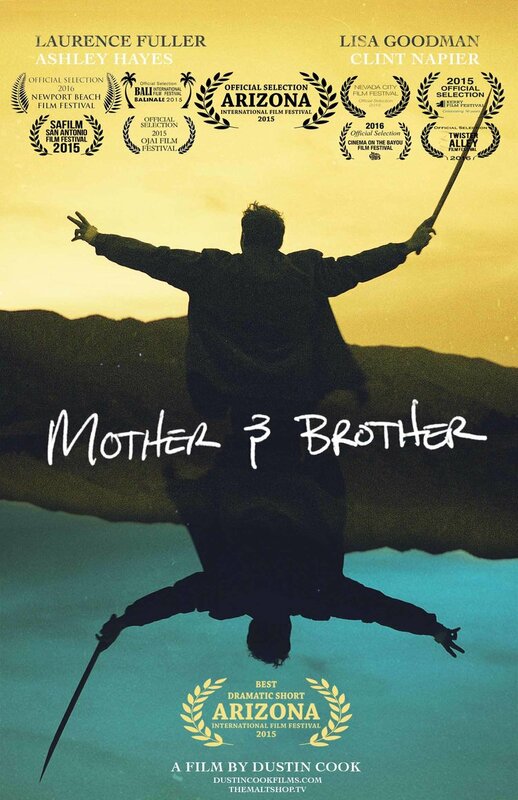 He was the most controversial art critic of all time, I tell his story as he prepares for fatherhood by going through psychoanalysis to overcome his demons, escaping the shadow of his evangelical father, he develops a friendship with the Revolutionary art critic John Berger, which changes the course of both their lives. Developing this project has had a deep effect on me, challenged my personal beliefs as well forming a relationship with the father I never had. He was a fascinating human being, and I believe it will be the most challenging role I’ve ever taken on.